Designed for professional installation to provide signal coverage in buildings up to 10,000 square feet, or more with custom configuration. 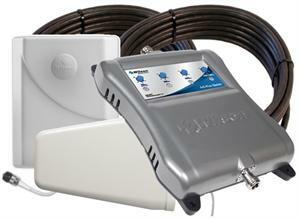 The Wilson weboost AG Pro Quint boosts signals on 800 MHz, 1900MHz, AWS and both AT&T and Verizon 700 MHz 4G networks. 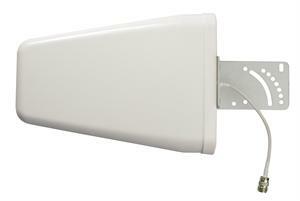 weboost AG Pro Quint is the most affordable five-band Signal Booster available. Wilson’s compact, integrated design is about the size of a textbook and weighs less than 3 pounds. 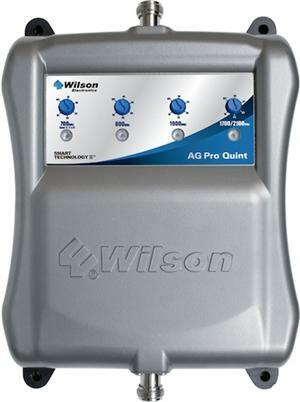 The AG Pro Quint’s control knobs allow the installer to optimize the gain on each of the frequency bands. weboost AG Pro Quint delivers up to 70 dB of gain and supports CDMA, GSM, EVDO, LTE, HSPA+ and WCDMA technologies. Everything needed to complete installation is included in the kit. 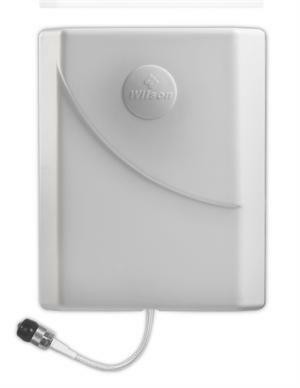 Like all Wilson Signal Boosters this unit features cell tower protection technologies refined over more than a decade of research and development.